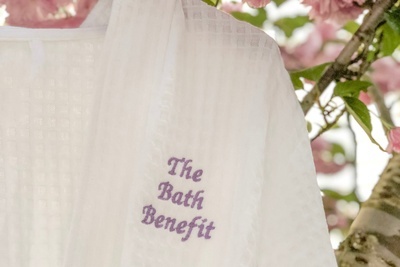 Enter your email address below to receive a notification when The Bath Benefit starts accepting new sign-ups! Enter your email address below to receive a notification when The Bath Benefit is accepting new sign-ups again. 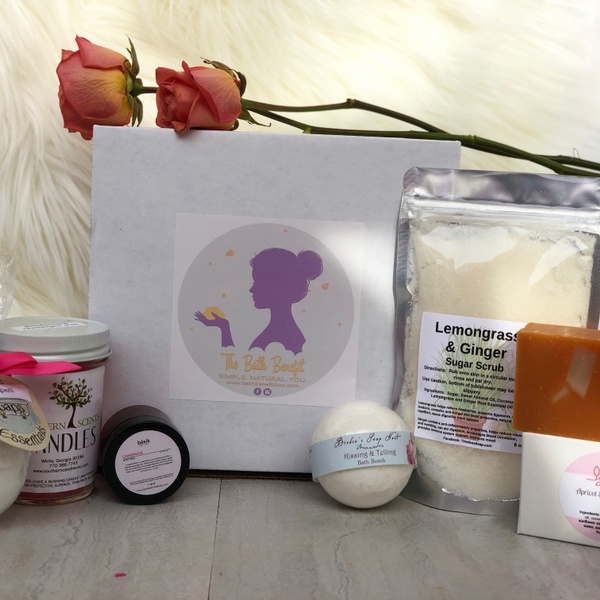 Use code MOMSDAY at checkout for 10% off one-time boxes or 1st month's subscription box! Shipping is always FREE in the US. Our initial shipment mails around the 1st of each month via Priority USPS Mail. Subscriptions automatically renew on the 11th of each month. First time orders placed between the 1st and 11th will NOT be charged again before receiving their first box. We continue to ship throughout the month while supplies last. 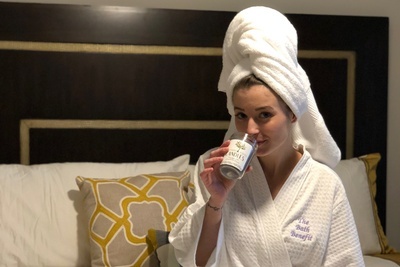 You deserve all the benefits of a little me-time! 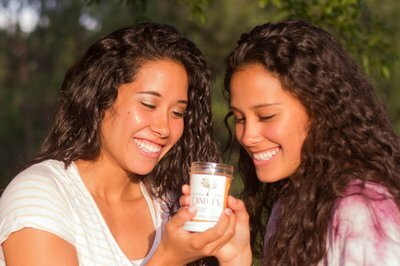 Hand-crafted bath & body products made from all-female artisans using natural ingredients. May boxes will continue to ship all month long while supplies last. Initial shipment will mail on April 30th. Any orders placed between May 1-May 10th will ship on May 13th. Our May box is bigger than ever, just in time for pampering our special moms! Great gift idea! We can personalize any box, just ask! 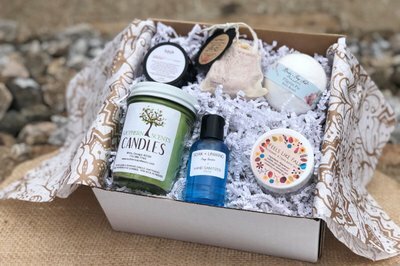 Another wonderful box with great scents! The white tea & mint soap bar smells very nice & clean - just wish the soaps were not all bars lately, as I don't care for bars very much. 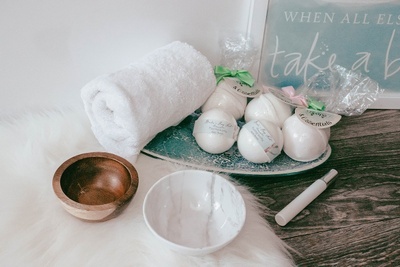 Always a huge fan of the bath bombs - my favorite items usually! They make the whole bathroom smell so nice & can be used for multiple baths! The sea salt & orchid candle is one of my favorite candle scents so far, very nice. 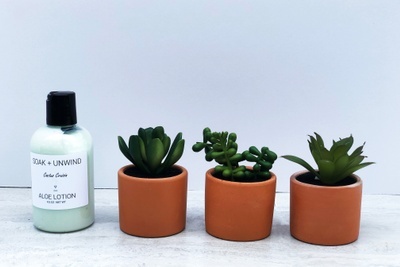 LOVED cactus cruisin lotion by soak + unwind - obsessed with their products & order every month! Smells amazing!!!! Unfortunately did not care for the lavendar & rose milk bath - I'm a big lavendar fan, but I put the whole pack (which was fairly small) in the tub and it was like it wasn't even there, didn't even make the water smell. :( Happy with everything else! Excited for April's box! Wow! What an amazing Feb. Valentine's gift box my lovely daughter sent me!! The scents are unbelievable! And my daughter even more so! Wonderful box. Products are thoughtful and of high quality!!! I can’t wait to use everything in this box! Beautifully crafted and packaged, detailed listing with pertinent information regarding each product, and equally enjoyable by both adults and kids! I have a personal love affair with this subscription. The scents in the October and November boxes for Halloween and Fall were amazing! I’ve loved every single product so far ... the bath bombs, to include the aromas and unique designs of each were such a pleasure and the lotions, bubble bars, etc. all were truly enjoyed by both my granddaughter and I! She would not get inside of the bathtub until I had presented her with her bath bomb for the evening and she’s only 4! Did I mention how delicious the Fall box smells?? 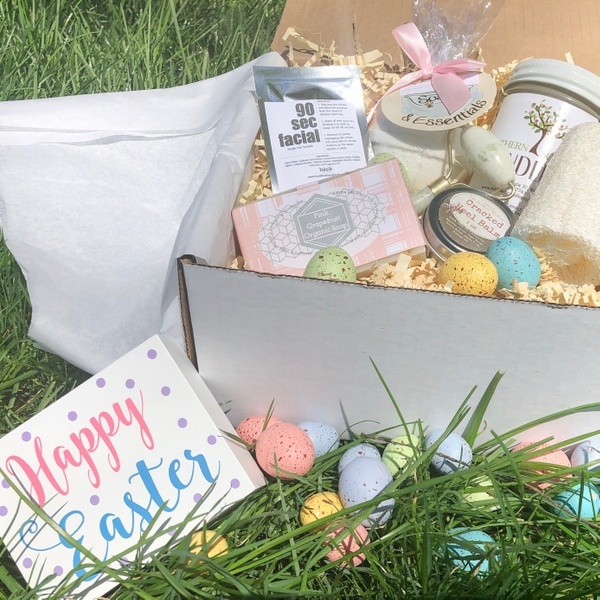 I’m always overjoyed and super excited when I see my Bath Benefit box being delivered! 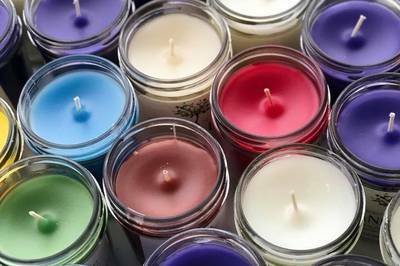 This month had some awesome fall scents that I loved! Favorite items of this month were the pumpkin latte whipped soap and this months bath bomb, but unfortunately mine did come damaged. Despite some issues with items I've received in my subscription, Charity does always try to make it right. Love the hand sanitizer from Soak + unwind too - my favorite company & I order from them all the time! The southern beekeeper is a nice brand too - 2 products from them this month and they both smell really good! However, the soap was unlike other soaps I've used before - a little strange/sticky & barely had a smell to it after it got wet. Overall happy with this month's box! 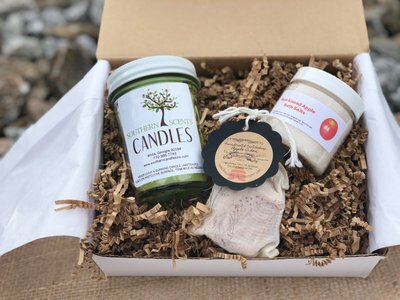 Looking forward to receiving my December subscription box! Thank you, Danielle, for another honest and in-depth review! I’m sorry the November soap was not your favorite. We strive to bring you varied products and vendors and some are very different from others. We appreciate your feedback! Have now received my second box from Bath Benefit. The personal touch is lovely. It is packed well without damage to the products. I love the little touches that are unexpected. I just put the lip balm to use and it feels great, smells good too. Tonight I will light my Mcintosh Apple Candle and take a bath with Rosemary and Cran Bath Salt. I think I will be on this subscription list for a very long time. Thank you Charity for your thoughtful curation. It thrills me that you are enjoying your boxes so much! Thank you so much for taking time to share your thoughts and experience through a review. We appreciate it greatly and look forward to wowing you with many more boxes! I am always super excited to see my monthly subscription box in my mailbox each month! The boxes are always put together so beautifully! I love the different themes as well as all of the fun holiday designs! Everything smells so amazing and my granddaughter really enjoyed sharing my Halloween bath bombs with me during her visit this month! 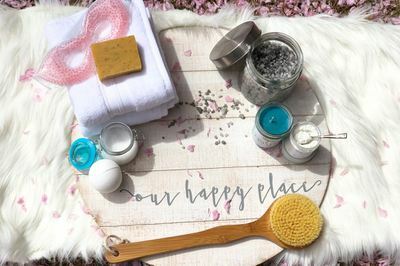 With great self-care finds inside you'll be ready for flip flops, cute skirts and soft skin in no time! 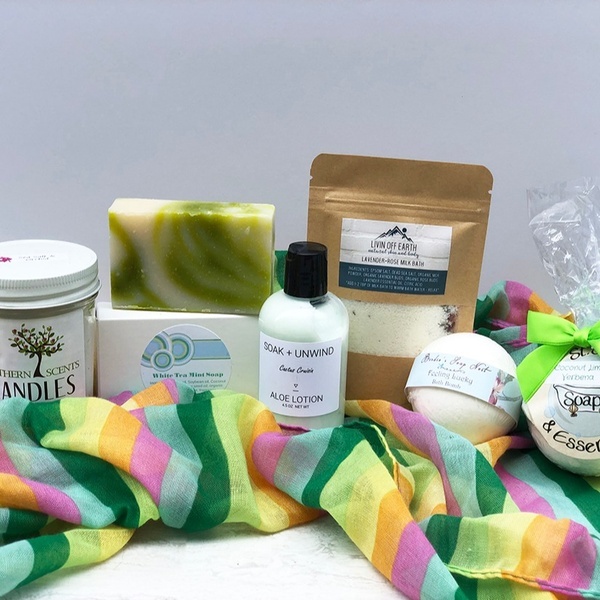 Spring-y and pure, this month's box is all about you! Rejuvenate, recuperate! Let's get ready for Spring! With a little sultry and a little sweet, our February box is the perfect Valentine's gift to someone you love, even yourself!